We are Auntie Red and Uncle Blue, a garden-crazy couple living in the Helsinki Metropolitan Area in Finland. We renovate our home, an old cottage, and tend the shady home garden. 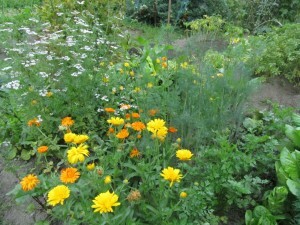 In an allotment close by we grow our own vegetables and herbs. Good food and travelling are important for us. 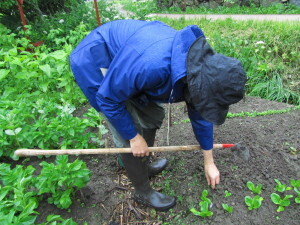 This blog is our garden diary in which we share our experiences in organic gardening (Olemme kasvimaalla = We’re at the allotment), using one’s own produce in cooking (Olemme keittiössä = We’re in the kitchen) and renovating the house and gardens (Olemme remontissa = We’re renovating). 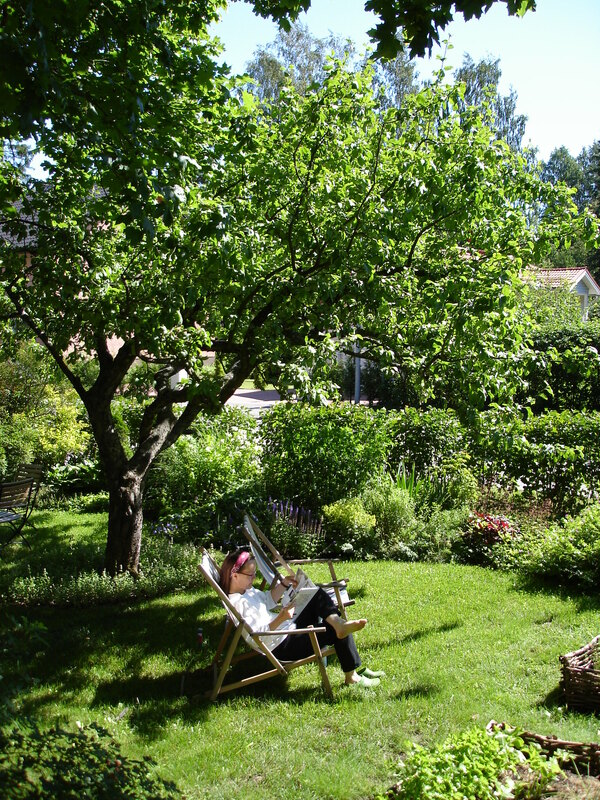 Even when we relax our thoughts are in gardening (Olemme vapaalla = We’re taking time off)! Auntie Red takes care of writing and Uncle Blue is responsible for the looks of the blog, but the outcome—just like gardening itself—is our common hobby! 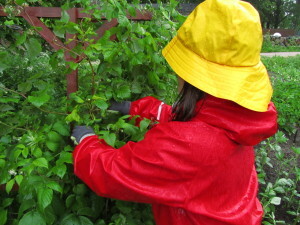 A Q&A section on our gardening philosophy is available in Finnish. Laventelia googlatessa löysin teidät. Sivustonne on balsamia sielulle… Luulenpa että sillon tällöin kurkkaan kuulumisianne. Olen aloitteleva mökkeilijä Päijänteen rannalla ja mietin mitä luonnonmukaista – ei kaupunkilaista – hyöty- ja koristekasvia täällä yrittäisin saada kukoistamaan. Tein tänään fenkoli-parsa-perunasosekeittoa. Levätessä etsin tietoa fenkolista ja sitten se heitti minut tänne teidän blogiinne. Avomaankurkun taimeni ovat jo pellolla, mutta istutan ne vasta huomenna. Lehti-ja keräkaalin taimia jo istutin. Teimme aamulla kohopenkit kurpitsoille ja tarkoitus on kokeilla uutta katetta mansikalle. Samaa materiaalia, jota käytetään energiapuukasojen peittämiseen. Toivottavasti tuuli ei vatkaa sitten taimia sen kanssa. Otan taimet sitä mukaa, kun rönsyjä tulee ja voimiakin pitää välillä kerätä. Vaikka sitten leipomalla piimäkakkua. Kiitos kuutiedoista. Kuulostaapa hyvältä yhdistelmältä tuo fenkoli ja parsa, täytyykin kokeilla. Paljon onnea kasvukaudelle! Orapihlaja-aita toi minut blogiinne, ja löysin niin monta puhuttelevaa (tuttua) juttua, että pitää jäädä seuraajaksi. Harvoin kommentoin mihinkään blogeihin, mutta tämä taitaa olla jo neljäs kommenttini Puutarhaanne. Kiitos! Hienoa että löysit meille Johanna! Meillä on selvästikin paljon yhteistä… 😉 Terveisiä Tampereelle, jossa mekin käymme usein (meillä on perhettä siellä)! On the homepage you’ll find the latest articles in chronological order, the newest on top. On the first page, the latest eight articles are shown; older writings are accessible by browsing through the pagination links at the bottom. The footer section contains links to the readers’ favourite articles, the editors’ pick of former articles, and the latest discussions. In the right sidebar, you’ll find links to our Facebook- and Twitter-pages. There we announce new blog posts and share other garden-related content. You have the chance to like or follow us by clicking on the respective icon and share the blog website on Facebook or tweet about us. Also icons for feeds are located in the right sidebar. By a click you can subscribe to alerts about new articles via a feed reader of your choice or by email. On the Olemme kasvimaalla-page (“We’re at the allotment”) you’ll find our gardening diary. 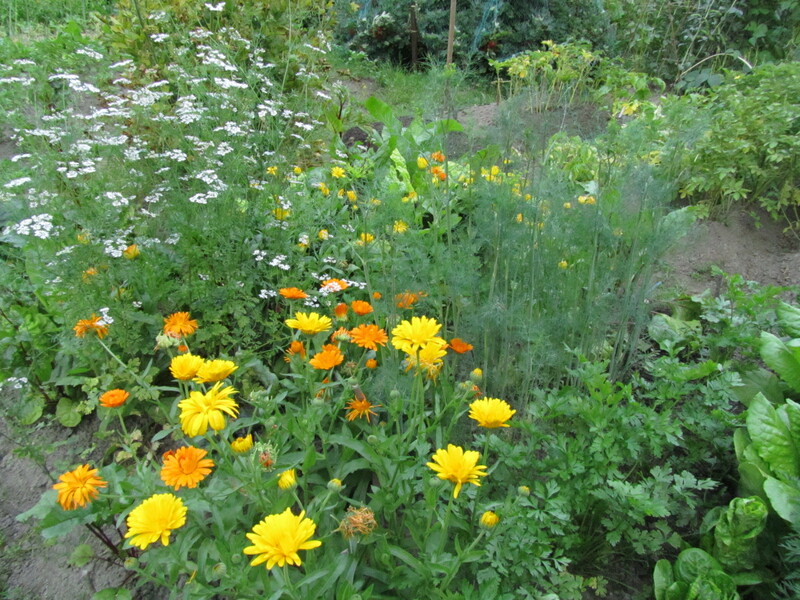 The garden diary follows the Maria Thun® Biodynamic Calendar, which is based on the lunar cycles. Before each planting time (i.e. the moon’s descending phase), we announce our plan of chores in the kitchen garden. 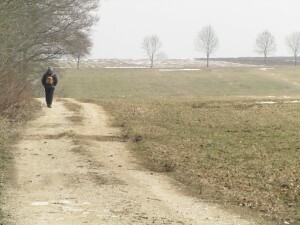 Towards the end of the following non-planting time, we report about our experiences. Weather observations and seasons’ changes complement the following of the lunar cycles. 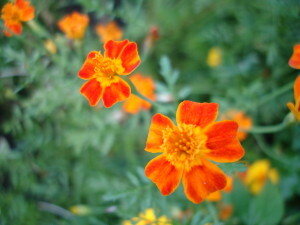 The garden diary is organized in such a way that articles related to the latest planting time are on top of the page. Within each planting time, the planning-post appears first, followed below by articles on how the planting time went. 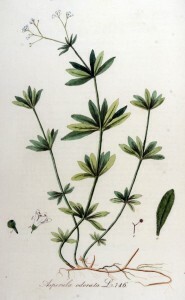 Moving the mouse or other pointer device to the “Olemme kasvimaalla”-heading in the upper navigation bar, a sub-menu opens from which you may reach the Kasvio (“Herbarium”). This is a collection of “Plant of the Month”-articles. Each post is on another crop plant (which is topical at the time of writing). In these articles, we provide you more details about e.g. our growing experience. 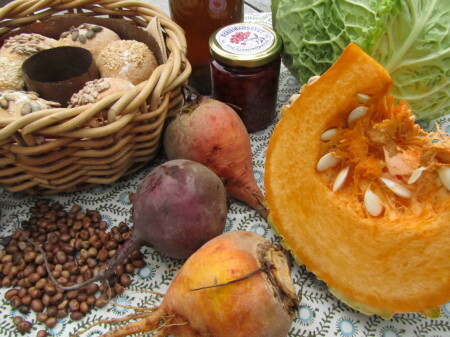 On the Olemme keittiössä-page (“We’re in the kitchen”) you’ll find writings about preparing food from our own allotment and garden crop. 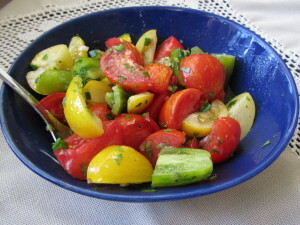 The articles contain links to recipes. In addition, the recipes can be reached by moving the mouse to the “Olemme keittiössä”-heading in the upper navigation bar, from where a sub-menu opens that contain a link to Reseptikokoelma (our “Recipe Collection”). There you’ll find recipes in the order of publication. It’s also possible to search for specific recipes using the keyword-cloud in the bottom of the page. The Olemme remontissa-section (“We’re renovating”) deals with the progress of our ongoing building projects, particularly those concerning garden and yard areas. Our house from 1954 has for some years been in the throes of renovation, which has also had an impact on the garden. Finally, we’re approaching the point when the garden is ready for new plantings! Once these projects are completed, this section may be replaced by Olemme koristetarhassa (“We’re in the ornamental garden”). 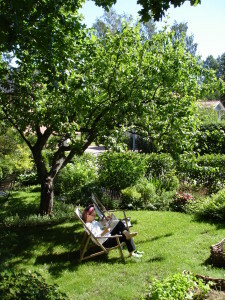 Olemme vapaalla (“We’re taking time off”) is a repository for miscellaneous writings. Here we record all kinds of ideas more or less related to gardening. Among others, the idea is to create a catalog of places to visit that are of interest to the garden and nature lovers, as well as reviewing topical gardening chores. Let’s see what we’ll achieve during this year. Here, on the Me olemme-page (“We are”, or “About us”), you’ll find our contact information and our “interview” (in Finnish). 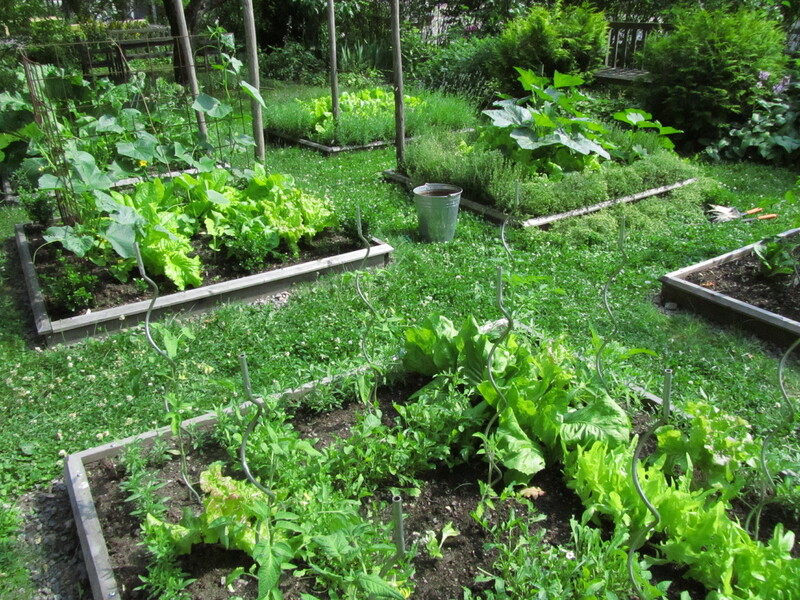 There you’ll find out where, why, and how we garden. In the sidebar are links to our Facebook- and Twitter-pages. From the dropdown of the main navigation bar, you’ll find a link to the Vieraskirja-page (“Guestbook”). You’re welcome to drop us a line there if you don’t want to comment directely on an article. Also from the dropdown of the main navigation bar, you can access the Meidän puutarhakirjamme-page (“Our garden book”), which is a collection of basic gardening articles. There we address topics such as taking into account the lunar cycle in gardening, organic gardening, companion plants, or gardening seasons. You have the opportunity to comment on individual blog posts or ask for further information through the form at the end of the respective article. Comments are welcome both on new and older articles! In the right sidebar on the homepage, you find links to our Facebook- and Twitter-pages. There we announce new blog posts and share other garden-related content. You have the chance to like or follow us by clicking on the respective icon and share the blog website on Facebook or tweet about us. Also icons for feeds are located in the right sidebar. By a click you can subscribe to alerts about new articles via a feed reader of your choice or by email. If your comment is not related to any article, but is more general in nature, you can drop us a line using the guestbook (“Vieraskirja”). You’ll find it hovering your mouse or other pointer device over the navigation bar on the top of each page. We truly appreciate receiving greetings from our readers! If you’d like to send us a private message, please feel free to use the contact form below or contact us by email. Our address is posti(at)puutarhassa.fi.